Construction has started on the Camperdown Development block that includes the Greenville News building. 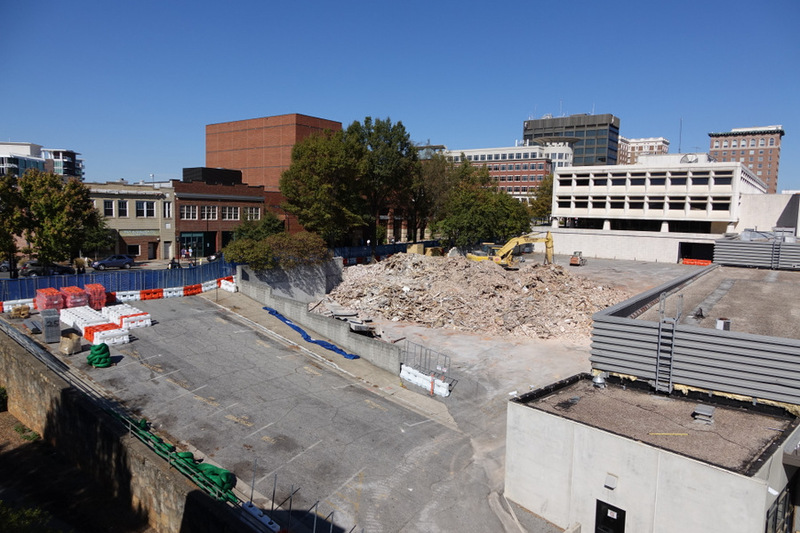 So far, the 2 older buildings down Main Street from the Greenville News building have been demolished. 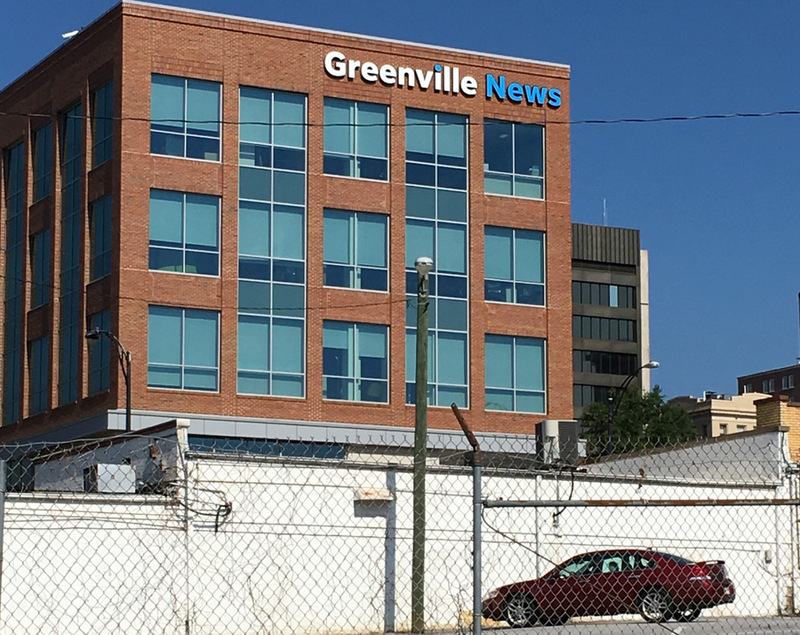 The Greenville News Offices on the upper right of this view will remain until the new office building is finished and operations have moved. Yes this is the The in The Greenville News. I am sharing it today because of the moisture which it shows. Some of you may recognize the script used in the headlines of yesterday’s photo of The Greenville News … This photo was taken recently showing melting snow on part of the sign outside The Greenville News building in downtown Greenville.